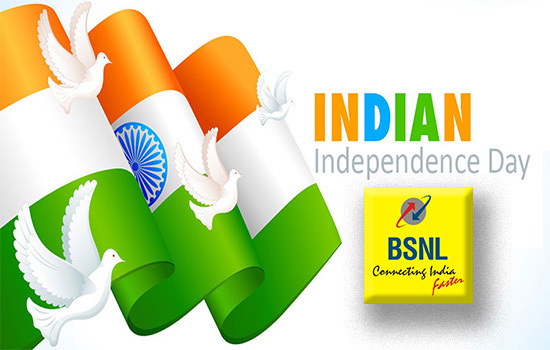 BSNL has announced the launch of Independence Day Offers 2018 for its prepaid mobile customers in all the circles. As per the latest information, BSNL will be launching two new STVs - Freedom Offer 9 & 29 with unlimited calls to any network, unlimited data 2GB/day, 100 SMS/day and free caller tune with unlimited song change option. These new STVs will be available from 10th August 2018 on wards in all telecom circles. The above tariff will be applicable for the period from 10-08-2018 to 25-08-2018 in all telecom circles. The implementation of the tariff is to be made in accordance with 43rd Amendment of Telecom Tariff Order and orders/guidelines/clarifications issued by TRAI from time to time. Dear readers,please share your views and opinions about BSNL Independence Offers 2018 via comments with us.